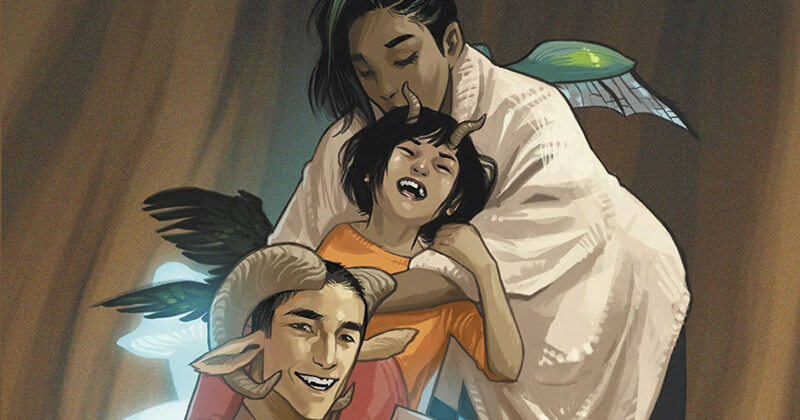 Beloved Image Comics series Saga to end with issue #108 – AiPT! Saga has been a series widely loved and admired by the entire comic book community. One reason for that is the finality of the series. It jumps ahead in time growing up the daughter, Hazel, every few arcs and progressing the great journey she’s been on from issue #1. It’s why the news that issue #108 isn’t a total surprise. The cover to Saga: Compendium One. Talking to EW.com, Brian K Vaughan let it be known the Saga: Compendium One to be released this October is the midway point of the journey. Containing 54 issues, that means issue #108 will be the last. “Fiona and I are excited to finally share with everyone that this compendium represents the first half of our story, a planned 108-issue epic!” Vaughan told EW. The first issue came out October 2012 which probably means we have 7 more years of stories to read due to the usual hiatus Brian K Vaughan and Fiona Staples take in between arcs.